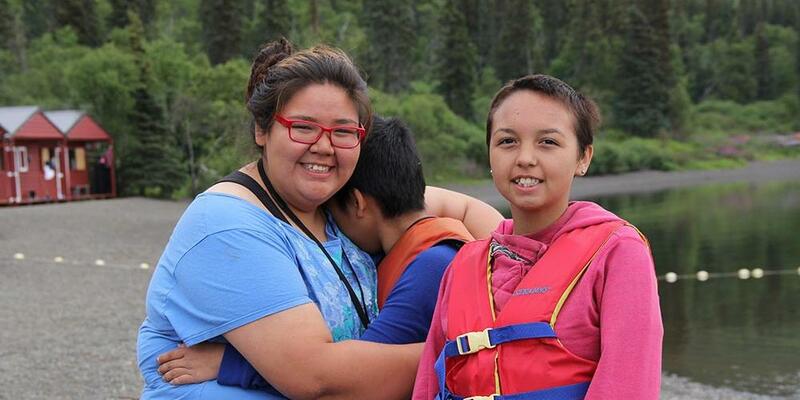 Josephine, on the left, is from the small fishing village of Togiak, Alaska, in the United States. Her first contact with Adventists was several years ago when she attended a Vacation Bible School (VBS) program. She was reluctant to go, but a friend’s persistence won her over. There she met Global Mission pioneer couple Chad and Liz. “I could feel their love for people the second I walked into the room,” she says. “Meeting them changed my life.” Chad and Liz shared Jesus’ love with Josephine even after VBS ended. They studied the Bible together, and Josephine decided to be baptized. “I’d never known love like this before,” she explains. “It was like someone had wrapped my shivering body in a big, warm blanket.” With Chad’s encouragement, Josephine became a counselor at Camp Polaris, a remote Adventist mission camp not far from her home. “I love working with children,” she says, smiling. “Now it’s my turn to wrap others in a warm blanket of love. It’s what I want to do for the rest of my life. Global Mission pioneers make a difference every day in the lives of young people like Josephine and inspire them to find God’s will for their lives.